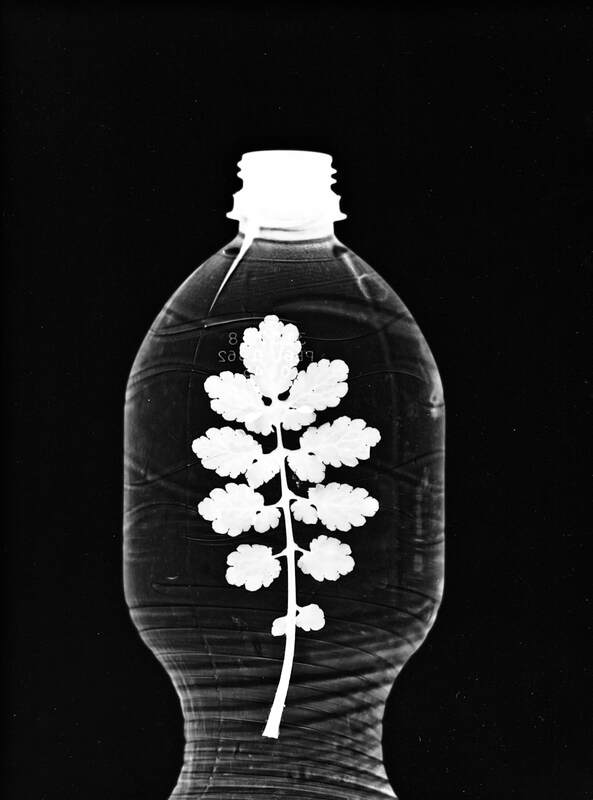 Anna Atkins' Photographs of British Algae: Cyanotype Impressions (1843) was the first ever book illustrated with photographic images. 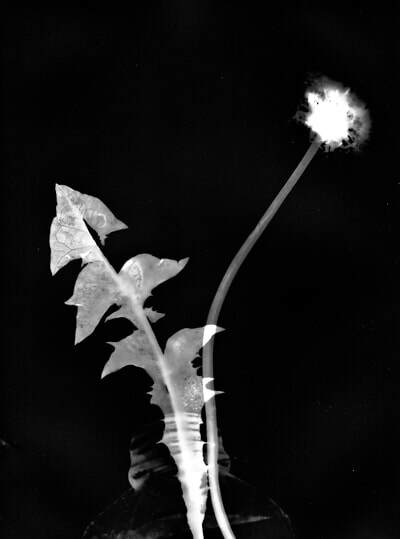 Atkins applied the cyanotype process to bonatical illustration, placing plants directly onto sensitized paper and exposing them to daylight to produce meticulous botanical images and captivating compositions which merged art and science. 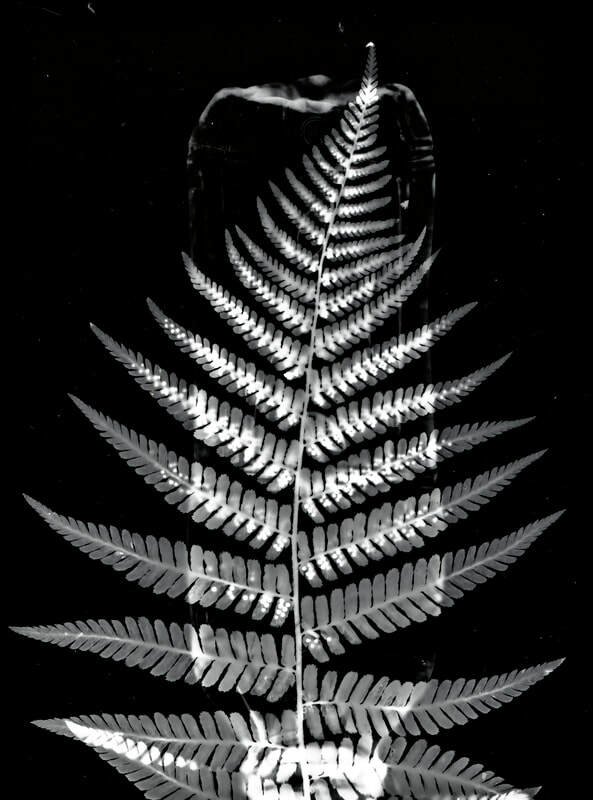 'After Atkins' takes inspiration from this work to explore contemporary relations to the natural world, revealing the shadows hidden in our landscape. 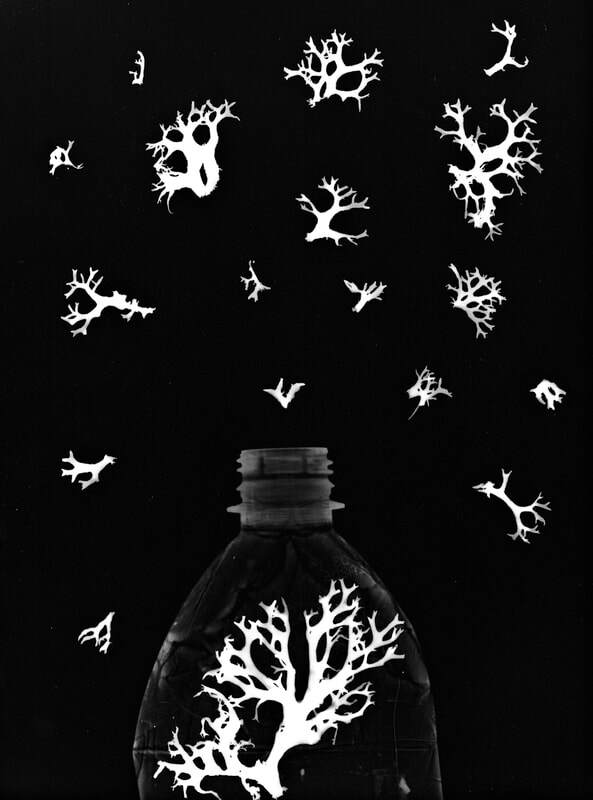 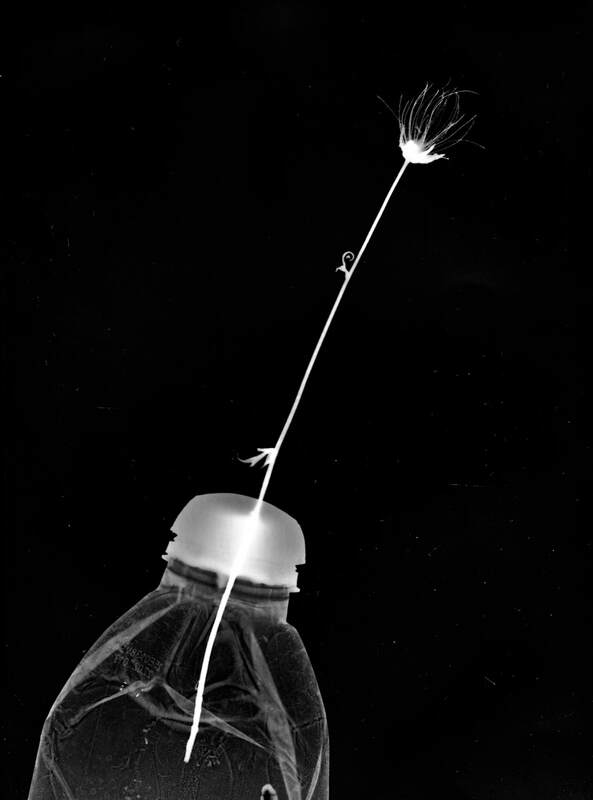 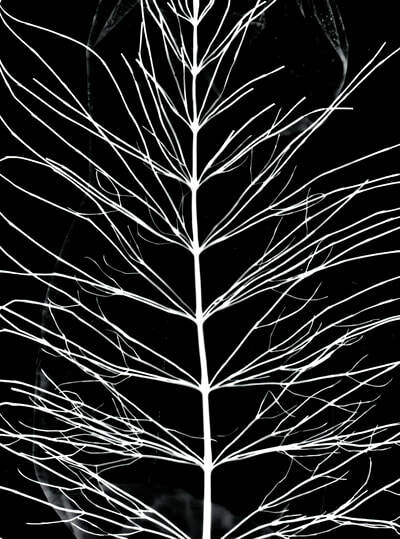 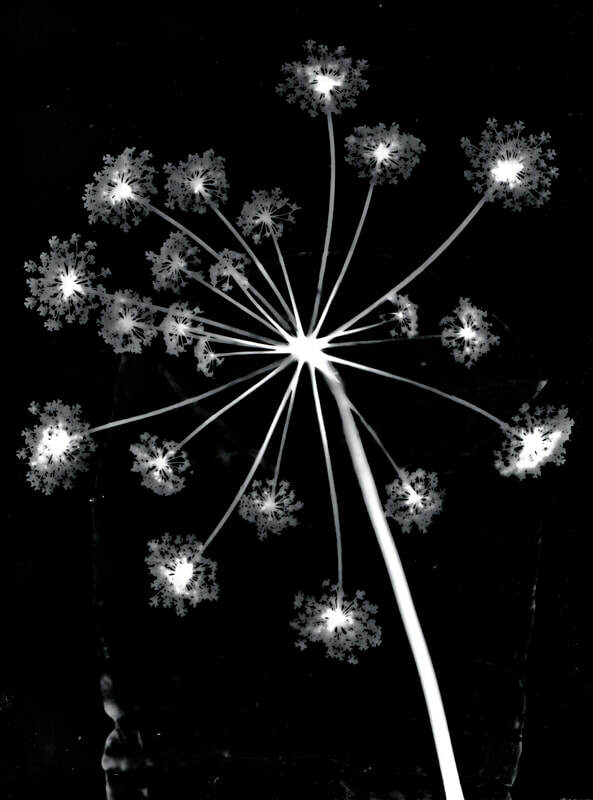 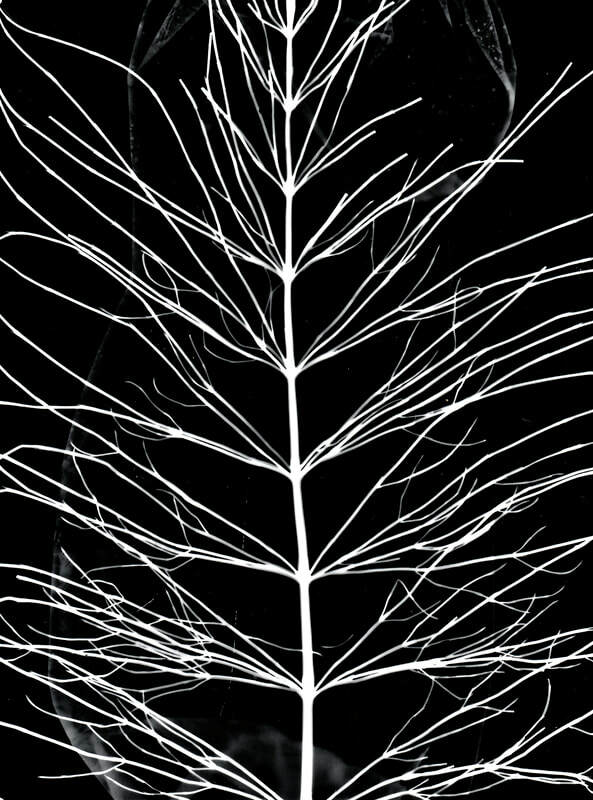 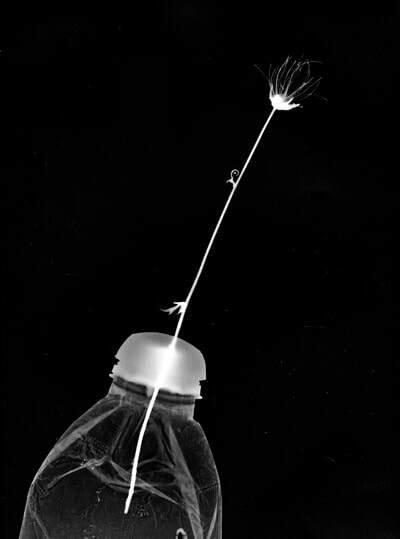 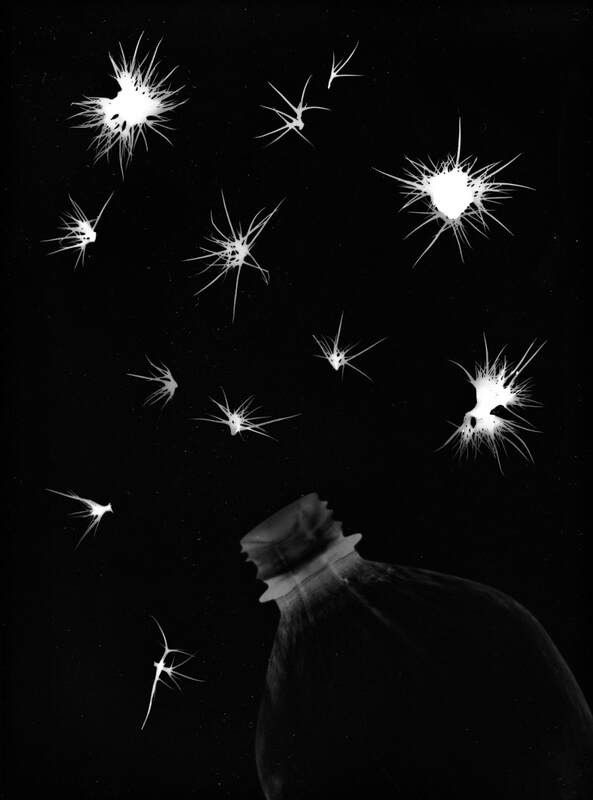 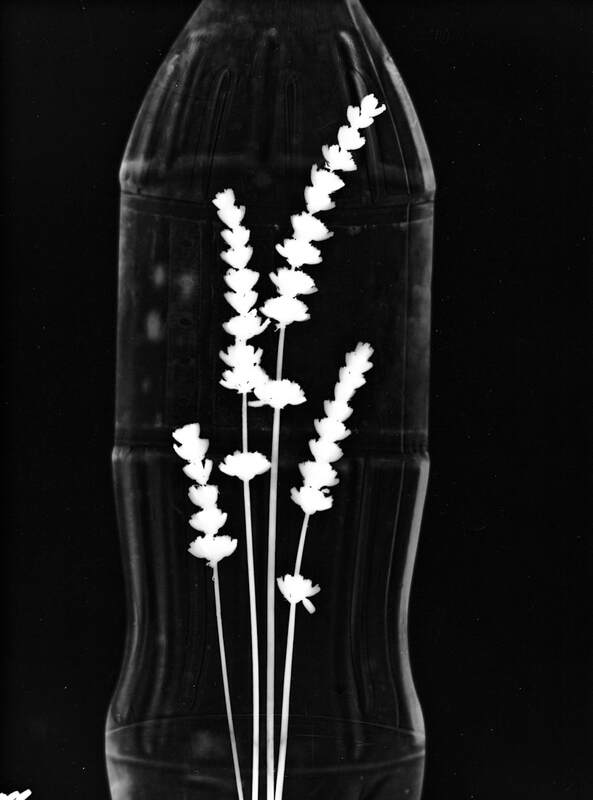 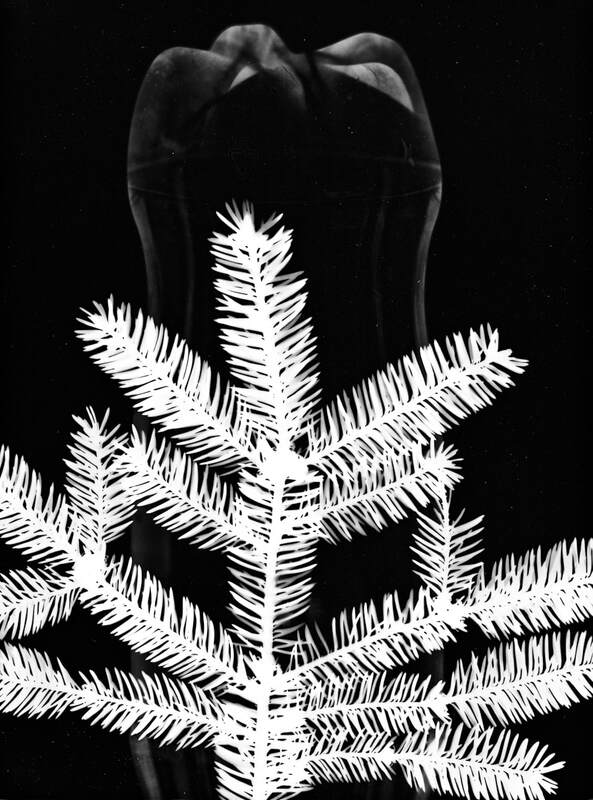 The photograms in the series 'PETcorso Vita' feature plants and plastic beverage bottles collected in the forest along the fitness trail known as Percorso Vita. 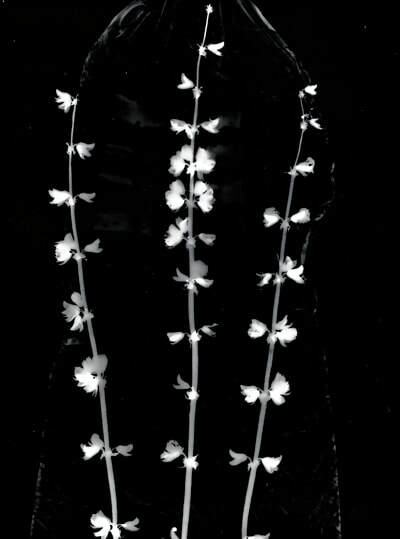 SKIN CARE is a critical reflection on the cosmetic industry and the representation of the female body in photography. In a world overpopulated with hyper retouched digital images, where the volume and the texture of the female body are replaced by lines and perfectly flat surfaces, the photographs in 'Skin Care' act like the portrait of Dorian Grey: they show the imperfections that makeup and filters applied over selfies try to hide, a skin that is alive, human, with wrinckles, hair, spots and scars. 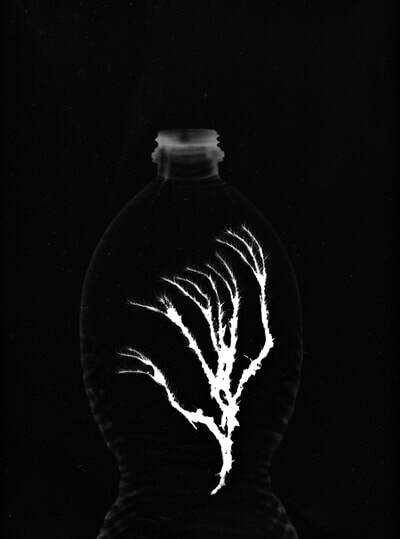 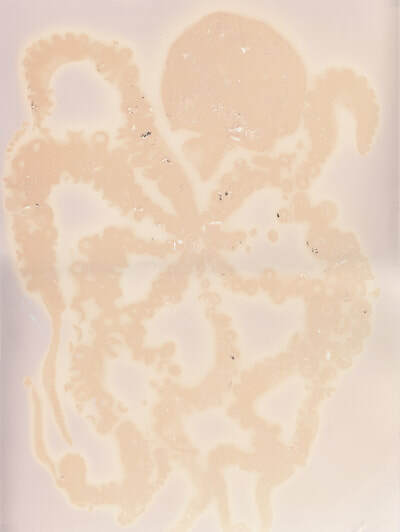 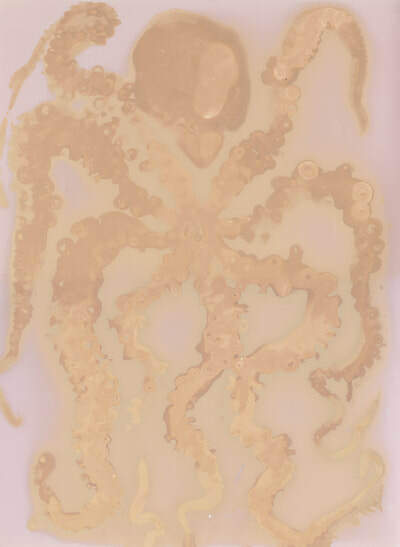 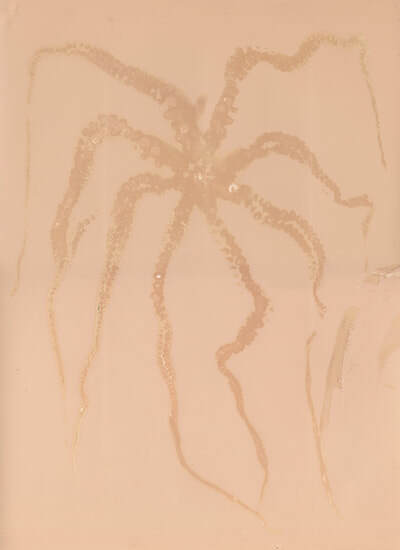 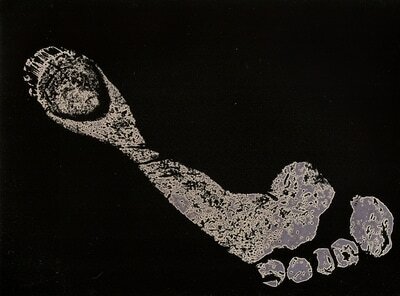 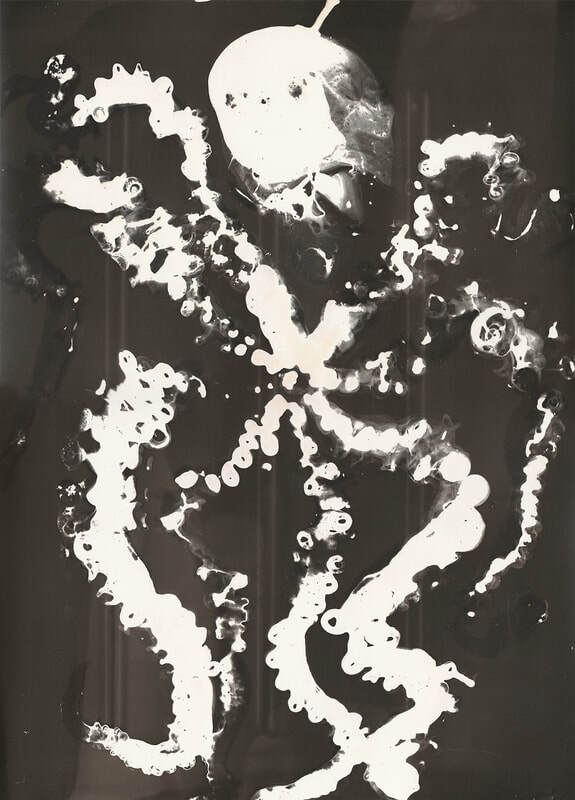 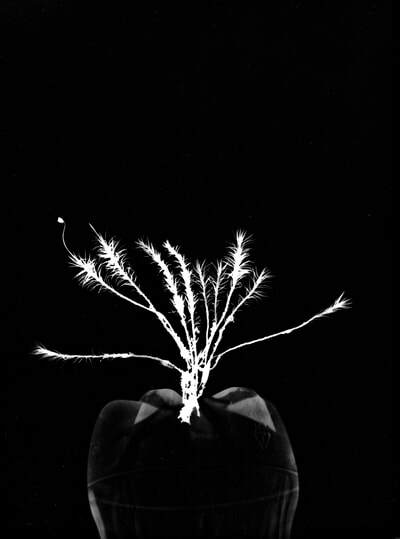 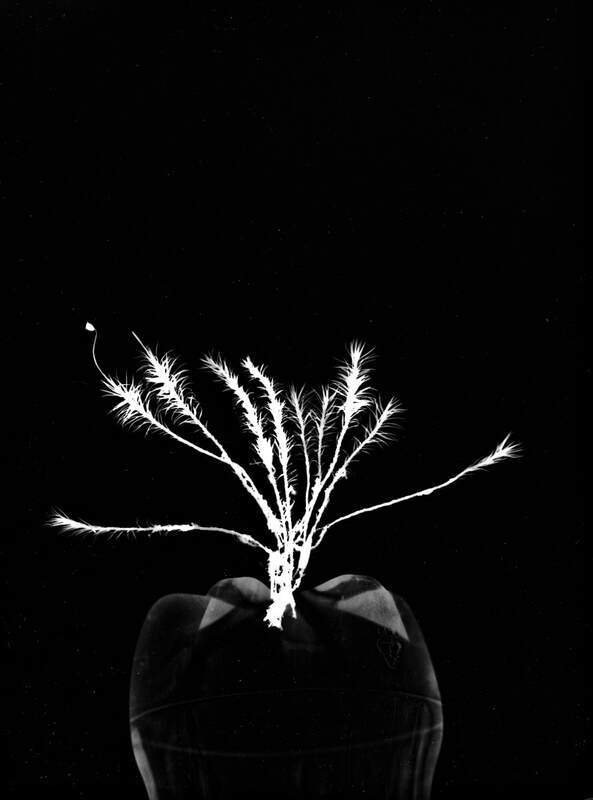 Chemigrams are photographs made without a camera or a darkroom, using traditional black and white chemistry and photographic paper, contaminated in this case with a mixture of Aqua, Paraffinum Liquidum, Cera Microcristallina, Glycerin, Lanolin Alcohol(Eucerit®), Paraffin, Panthenol, Magnesium Sulfate, Decyl Oleate, Octyldodecanol, Aluminum Stearates, Citric Acid, Magnesium Stearate, Limonene, Geraniol, Hydroxycitronellal, Linalool, Citronellol, Benzyl Benzoate, Cinnamyl Alcohol and Parfum, also known as Nivea Creme. 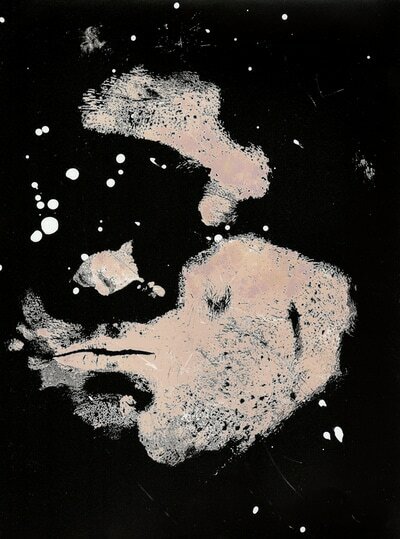 The creme applied on the skin leaves a trace on the photographic paper which alters the development process, with unpredictable and uncontrollable consequences, like the long-term effects of the chemicals with which we poison our bodies and our environment.